206 Arktis II represents the welcome the return of an old friend. 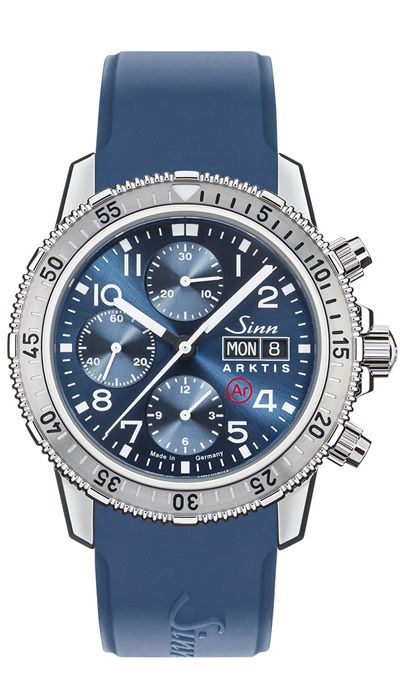 In 1999, Sinn surprised the watch industry by introducing a unique timepiece with special technology: the 203 ARKTIS was the world’s first diving chronograph to feature Temperature Resistance Technology. Sinn’s specially developed technology guaranteed the functional reliability of the watch in temperatures ranging from ‑ 45°C to + 80°C which was an outstanding advancement in watch durability and performance. 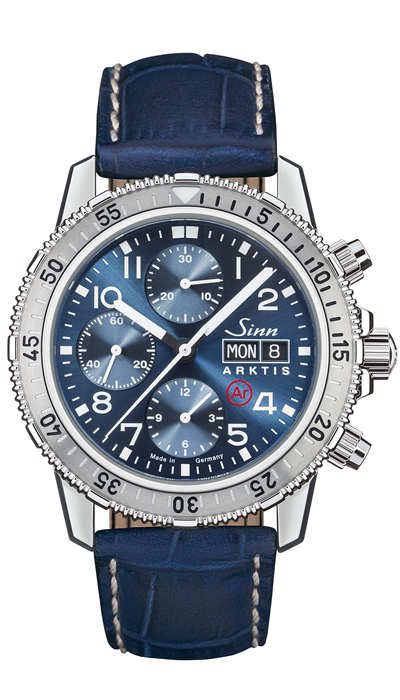 The same technology is utilised in many of Sinn’s instrument and diving watches to this day. To mark the initial introduction of this technology Sinn has developed a modern counterpart of the highly-coveted ARKTIS watch – the 206 ARKTIS II. 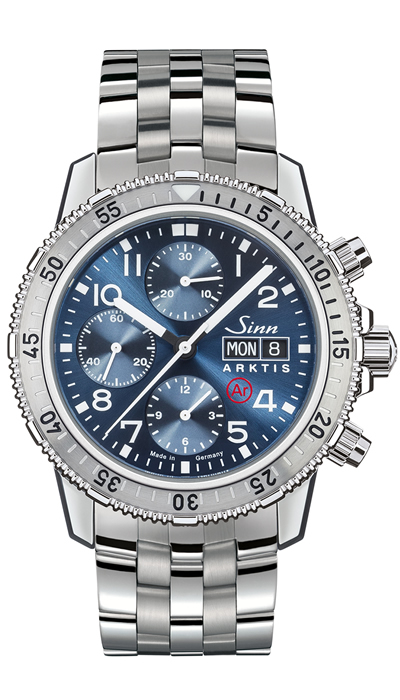 In-line with its popular predecessor, the 206 ARKTIS II also features a blue dial with sunburst decoration. However, technological updates have allowed improvements to be made. The original Arktis utilised screw-to-secure pushers but thanks to Sinn’s innovative D3-System, screwable push-pieces are no longer required for water tightness in the 206 ARKTIS II. The new D3 system makes the chronograph functions easily accessible and easy to operate which is beneficial in the long run. So while the look of the pushers is the same, rest assured that the functionality has been upgraded. In this respect, the 206 ARKTIS II represents a contemporary take on the traditional 203 series, which is reflected in a new diameter of 43 mm rather than 41 mm and improved functionality. Think of it as a technical upgrade with a nostalgic nod to an old friend.